The Charlotte Social Security office is located in Charlotte 28227. The following page includes information for this location like the office phone number, hours of operation and driving directions. If you have any interests or comments about your retirement benefits or are interested in making an appointment, call the following Charlotte Social Security office. The Charlotte Social Security office is located in Charlotte 28227. The following page has information for this location like the office phone number, hours of operation and driving directions. 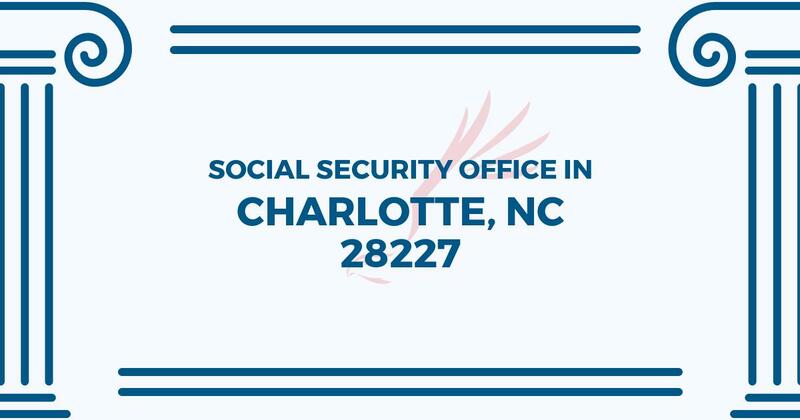 If you have any interests or worries about your Medicare benefits or are interested in setting up an appointment, call the following Charlotte Social Security office. Maybe I was just lucky but I called this office twice in the same day maybe thirty minutes apart and both were answered within five minutes. I also had two different agents that I spoke to and both were friendly. I only had questions but they were answered quickly. how do I make an appointment at Charlotte SS office in less time than a 1 hour 30 min wait by phone?!!!! this is ridiculous and website is of no help with this. I cannot call office directly!! cant do this on line either! totally inefficient and user unfriendly! I dont have time to wait this long just to schedule appointment! Ms. Greene at no. 28 was extremely helpful! Best customer service ever, nicest person possible! Thank you for a great, and most agreeable experience you can have at a government office! Thank you, Ms. Greene, you’re just amazing, made my day! In and out in less than 20 minutes to get signed up for Medicare benefits. Very efficient representative handled the process. Don’t be intimidated by the large number of people in the waiting room….there are apparently different “lanes” for various services and initial benefit signup went very quickly.